In our latest episode, we’re chasing shiny objects. Gold, silver, palladium, and platinum, to be specific. Now, you might be wondering how precious metals investing is relevant to you as a real estate investor. But guess what? When people want somewhere to hide equity, and don’t want to put money into stocks and bonds, they turn to gold. Precious metals play an essential role in the worldwide economic sea. They act as a hedge against falling currency and a way to diversify. So, we invited a special guest to explain how the precious metals business works … and give you the information you need to decide whether gold and silver might be a great investment for YOU. We met with Dana Samuelson at the 44th annual New Orleans Investment Conference. It’s our 6th year attending, but Dana’s been around since 1983, when he started working in the precious metals business for Jim Blanchard. Dana owns a national mail-order business, through which he buys and sells modern bullion coins. He is also an expert in classic U.S. and European gold coins. We asked him to explain the goal of precious metal investments. Gold is not necessarily an investment, Dana says. But, “We live in a world of enormous debt, so precious metals are a good insurance policy,” he says. Dana says investing 5 to 10 percent of your net worth in precious metals offers a way to keep your equity solid, even when the value of paper assets is fluctuating. There are different ways to invest … you can collect precious metals bit by bit over time, or you can pick up larger amounts during periodic price dips. Gold and silver are slightly different investments. For one thing, gold is more portable than silver. A handful of gold equals a wheelbarrow of silver. Another difference … people tend to put their equity in gold over silver when the stock market and the dollar aren’t doing well. 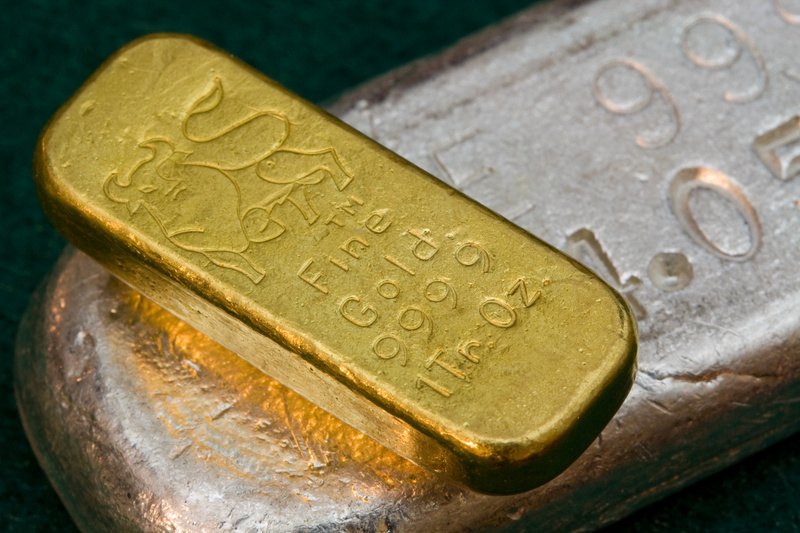 The gold-silver price ratio can be used to determine the relative value of gold to silver. To find the ratio, simply divide the gold price by the silver price. Traditionally, this ratio has been 20:1. Today, it usually hits somewhere between 60:1 and 80:1. Right now, the ratio is on the high end, about 85:1, which means silver is cheap relative to gold. It’s a good number to look at when you’re trying to figure out what … and when … to buy. Gold and silver come in many forms. There are gold bars, which are now mainly produced by mints around the world and have to meet purity and weight integrity standards. There are also smaller American Gold Eagles and Canadian Gold Maple Leafs, modern bullion coins that are sold by the ounce, half-ounce, quarter-ounce, and eighth-ounce. Since these are smaller than gold bars, you don’t have to report to the government when you buy them, typically. Dana calls these bullion coins “bread and butter” products. They’re reliable, widely available, competitively priced, and have long-term value and viability. You can also buy generic 1-ounce rounds from private mints, usually silver. Many people like to have a viable alternative to paper money, Dana says. Aside from widely available bullion coins, investors can also go the numismatic route. U.S. coins minted before 1964 are 95% silver by weight. And gold coins minted before 1933, when the U.S. went off the gold standard, are increasingly valuable. The coin-collecting route is great because of basic supply-demand principles … as time goes by, fewer older coins are available, so not only are these older coins made from precious metals, but they also hold an inherently higher value because they’re increasingly scarce. Gold has been a form of money literally since the concept of money first originated. It’s a currency of last resort because it’s one of the few forms of currency that doesn’t need a government guarantee to back it. Gold and silver are the most popular precious metals. We asked Dana about the other two sister precious metals, platinum and palladium. These are much, much scarcer than gold, Dana says, but they’re valuable because they’re scarce … and because they’re necessary. Both metals are used in catalytic converters for automobiles. How can someone new to precious metals get started? “Find a reputable, long-term dealer,” Dana says. He offers his precious metal trading business as an example. They follow principles of transparent pricing, guarantees for sold items, and guaranteed buy-backs for anything they sell. And perhaps consider staying away from eBay. “I can tell a counterfeit a mile away,” Dana says. eBay can be sketchy … and it’s harder for amateurs to tell real from fake. To be extra safe, stick with established, hard-to-counterfeit products like bullion coins. Investors also need to think about storage. “Gold is pretty compact. It doesn’t take up a ton of space,” Dana notes. Silver, on the other hand, is bulkier. Also consider that there may be reporting requirements when you move money in and out of the country, due to the Patriot Act. “The most important thing is to think about what you’re trying to do and find a dealer to help you walk through your options” for purchasing, storage, and selling the asset in the future, Dana says. A final note for those still dubious about precious metals. We know it might not seem immediately logical to take your equity … and then just put it away in gold and let it sit. There’s no cashflow, there are no tax benefits … so why do it? 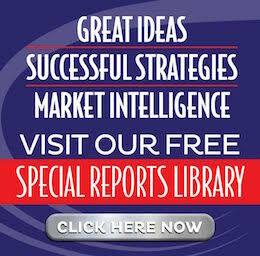 To learn more, check out Dana’s report on investing in precious metals. Now, go out and make some equity happen!